Thinking of renting a vehicle in Israel and wondering what driving here might be like? I’m here to tell you all about the experience! I’ve been driving in Israel all my life but was also fortunate enough to spend a year and a half road tripping in the US, so I’ve come to appreciate the differences between the driving cultures. Happy to be sharing my insights with you here in this post. We drive on the right and essentially apply the same driving laws (for the most part). You can never ever enter a junction when the light is red. Ever. Not even when turning right. When turning left in traffic lights: if you have the green light, oncoming traffic has the red light. No need to give them the right of way, you’ll only delay the cars behind you. We have white (not yellow) center lines to show the separation of traffic lanes. A dashed/broken line means you can cross it with care if you need to take over. A solid line means you can’t. We don’t have four-way stop signs. If you have a stop sign in a junction, then you give right of way to the road that crosses yours. Always. The rest is very similar but there are some differences in driving culture. 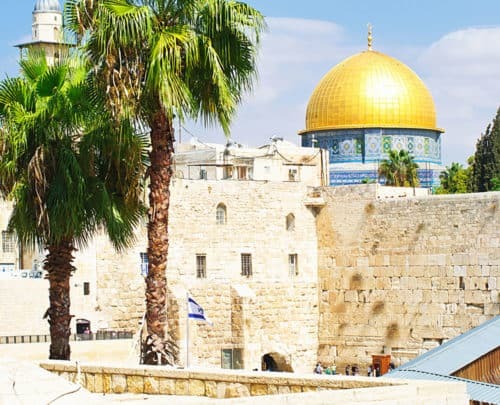 I’ll cover the above rules as well as the additional cultural differences in more depth below, so keep reading for a safe and enjoyable driving experience in Israel! 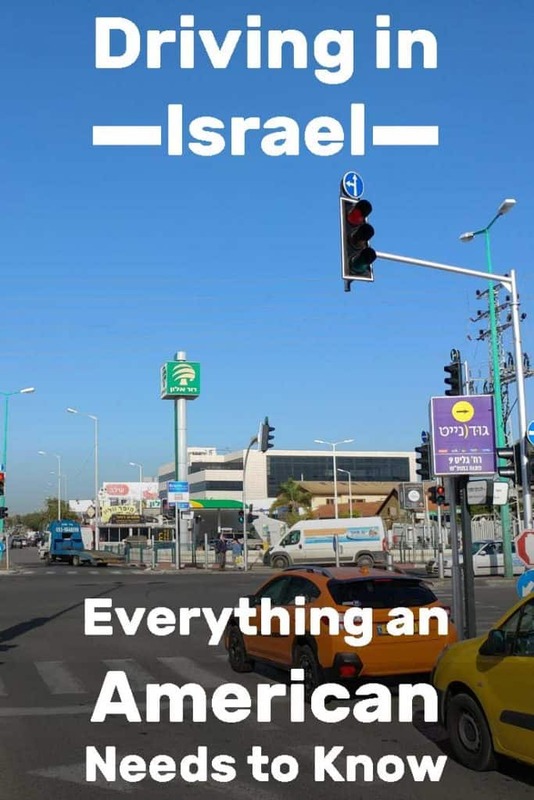 What’s driving in Israel like? Generally speaking, driving in Israel is more challenging than driving in the US. It’s about the same as driving in France or Italy (drawing on my own personal driving experience there). It’s easier than driving in Romania. So, overall, not too bad but not easy. The main thing that makes driving here more challenging is congestion. Israel is a small country with way too many vehicles. It’s rare to find a road that feels empty unless you go to specific desert areas. And where traffic is busy, you have to mind the road and stay on the alert. I would say driving in most areas in Israel doesn’t feel all that different than driving in LA during rush hour. Doable, but can get a bit hairy. And yes, it’s not just crowded, there is the issue of the local mentality and driving culture. Let’s talk about this for a minute. Israel has a very informal culture which means people tend to be “flexible” regarding the rules. Also, we’re not as polite as Americans. Not nasty, just more direct and when it comes to the road, some people can be downright rude and aggressive. What does this mean for you as a driver? Be aware that some drivers may be cutting lanes without using the signal lights, and generally pushing their way forward fairly aggressively. If you want to change lanes, use your signal light (I always do) but don’t expect the vehicles in the other lane to make room for you. They won’t do that. In fact, they may actually speed up. The way they see it, you’re not expecting them to make room, so they should hurry up, take over and then maybe you’ll have the lane available once they’ve passed you. So, they’re not being nasty in this case, just following a different code of behavior. Other than that, this is pretty much like driving in rush hour in a major American city. Been there, done that, it’s not much fun either. Why do Israeli drivers honk all the time? This is something I often hear from Americans who take to the wheel here. As an Israeli, that’s mostly a non-issue for me. I rarely get honked at and I don’t use the honk myself unless it’s a life-threatening situation. It’s the same for most Israeli drivers. I do know drivers who honk when they see a friend walking on the pavement next to their car. Then honking simply says “hey there, buddy!”. And yes, it’s illegal and annoying. I have a theory why American drivers get to hear the horn blowing so often. In fact, it has happened to me when I first came home after a five-month-long road trip in the US. That’s when I figured out the mystery. When you stand in a junction with traffic lights in the States, you don’t start driving once the light goes green, right? You instinctively wait for a couple of seconds, to make sure the junction is free of cars. After all, someone may already be committed to making their left turn, or they may possibly be taking a right turn on a red light. That’s not the case here. In Israel, red means red and green means green. So if you get the green light, you can just hit the pedal and drive. Mostly. It’s still advisable to make sure the junction is, in fact, clear, as someone may be “stealing” a red light (a very dangerous situation), but overall, you expect it to be 100% clear. So, as an Israeli driver, when your light goes green, you take your foot off the break and lay it on the gas pedal right away. As an American driver, you wait for a couple of seconds. For the Israeli driver behind you, that means you haven’t noticed the green light, and you’re delaying traffic. And that’s when someone is bound to blow the horn. That doesn’t mean you should throw caution – or healthy American driving habits – to the wind. Let them honk if they want to. The important thing is for you to make sure the coast is clear and drive safely. So I’m just telling you this to help you understand why they’re honking. Feel free to ignore them. Just to ease your mind in that regard, Israel has very good roads. 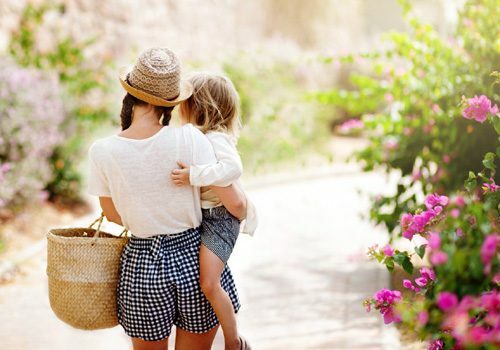 Overall, you’re less likely to see potholes or poorly-maintained roads here. We don’t have harsh winters to deal with, which helps. Roads are generally wide and well-marked and signs are in Hebrew, Arabic, and English, so you shouldn’t have any problem with that either. Also, Waze and Google Maps work very well as navigation tools. Everyone uses Waze here (after all, Waze was developed in Israel!) so its predictions are fairly accurate. Just like everywhere else in the world, parking in urban areas can be a challenge. The worst is in Tel Aviv. Finding a parking spot in Tel Aviv is akin to finding one in Manhattan (or finding a unicorn, pick your metaphor). 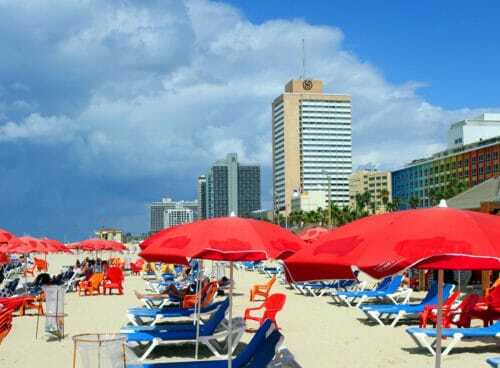 There are parking lots but they can be extremely expensive in Tel Aviv and other big cities. During the day, expect to pay $10+ per hour on parking. 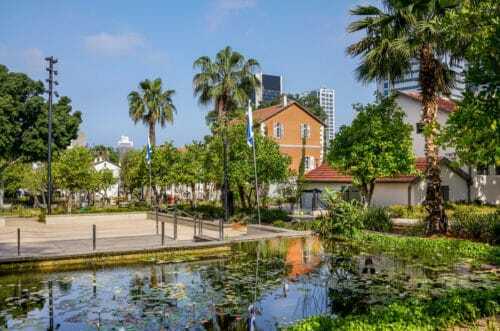 In other words, if you’re spending a few days in Tel Aviv or Jerusalem, make sure your hotel offers parking at a reasonable rate – or consider returning the rental for a few days. Street parking is available in most other cities and towns even if it means having to navigate your way through one of the smaller streets near your destination. That means you can park your vehicle there but need to pay. I don’t remember when was the last time I saw a meter though, as payment is almost always done online. The most popular parking app is called Pango. Check it out and download it here. Rates vary between municipalities but they’re usually very low, at around $1 an hour. Thou shall not park. This is a no-parking zone and unless you want to pay your way through a $100+ ticket, you should avoid it. You can park for free here. No limitations unless there’s a sign that tells you otherwise. Other than that, just keep your eyes open for additional markings like handicapped parking etc. and use common sense. As explained above, driving laws in Israel are mostly the same as they are elsewhere in the world. They’re almost identical to any European country, so if you’re coming from Europe, you shouldn’t have an issue. The US does have a slightly different driving system, though. If you’re an American with no driving experience in Europe, please pay attention to this section. This is important. Can you drive with an American driving license? First, let’s cover the basics. Yes, you can rent a car and drive with an American driving license. As long as your license has your photo and your name in English, you don’t need an additional international license. On which side of the road do you drive in Israel? You drive on the right side of the road, just like you would in the US and in most European countries. This is where things are a little bit different, so let’s take a look at the different types of junctions you’ll come across. Roundabouts (or traffic circles) are relatively easy to navigate. You always turn right into a roundabout, driving in the clockwise direction. 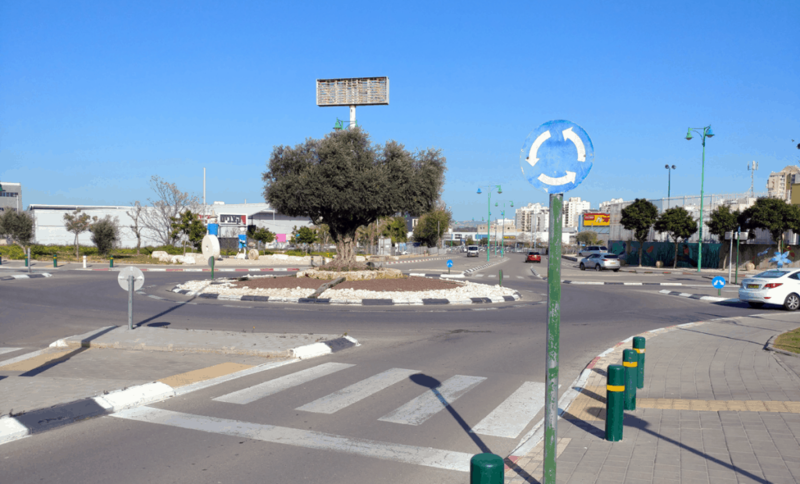 You need to give the right of way to vehicles that are already in the roundabout. And yes, I know they exist in the States too, but in most areas, they’re not very common. Not the case in Israel, where roundabouts are extremely common, especially in new neighborhoods. This option simply does not exist. I know that you’re only supposed to turn right on red in the US if there’s a sign saying that you can. However, there’s almost always a sign telling you one way or another. No such signs here because in Israeli junctions, red means red. This is a bit of a moot point because once you have the green light on a left turn, you can just make your turn. There will be no oncoming traffic for you to wait for. It’s really more of an issue for Israeli drivers in the US but I wanted to mention it here because it’s important to understand how traffic lights work here. For us, getting used to the American system is always a bit challenging – and scary. I’ll never forget the time where I took a left turn on green without paying attention to oncoming traffic. That was a very very scary experience. The light changed to green, and I just “drove in Hebrew” and shot right into the junction, making my left turn as a huge semi-trailer was making its way into the junction at the same time. 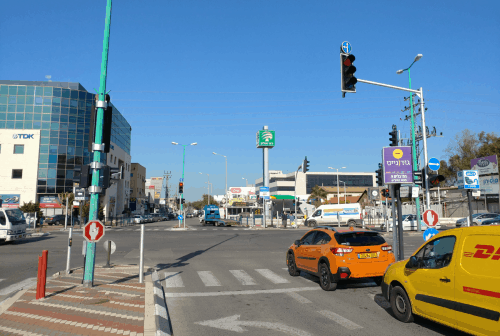 The bottom line for an American driver in Israel is just to know that red means stop and green means go here, and the traffic lights are synchronized to make sure you won’t need to give the right of way to other vehicles once you get the green light. 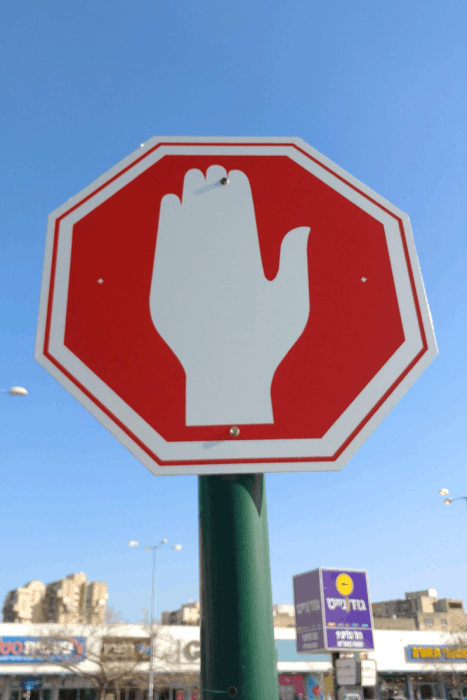 Stop signs in Israel look like the American stop signs, except they have a white hand in the middle, instead of the word STOP. They mean the same thing here: Stop and give the right of way. The only difference is you won’t find any four-way stops here. In a junction, one direction will have stop signs and the other has the right of way. Last, but not least, we have a different way of marking lanes. 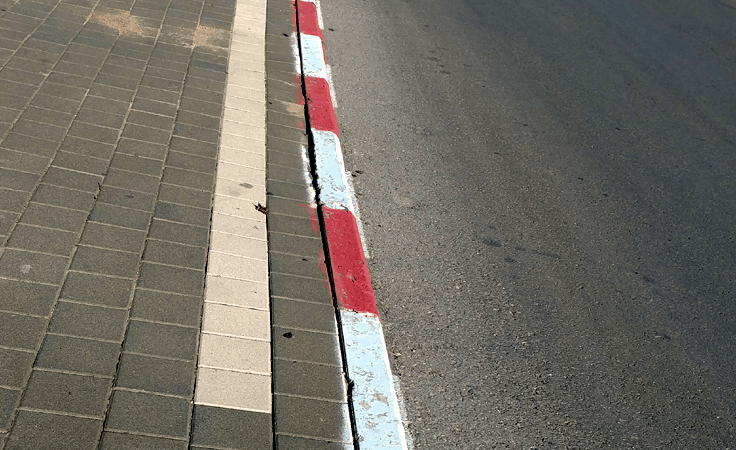 A typical Israeli road will have the lanes marked with dashed white lines. If you want to take over the car in front of you, you’ll need to use your light, make sure there’s no oncoming traffic and safely pass to the other lane and back. When you have a solid white line in the middle, that means you can’t cross it. Ever. 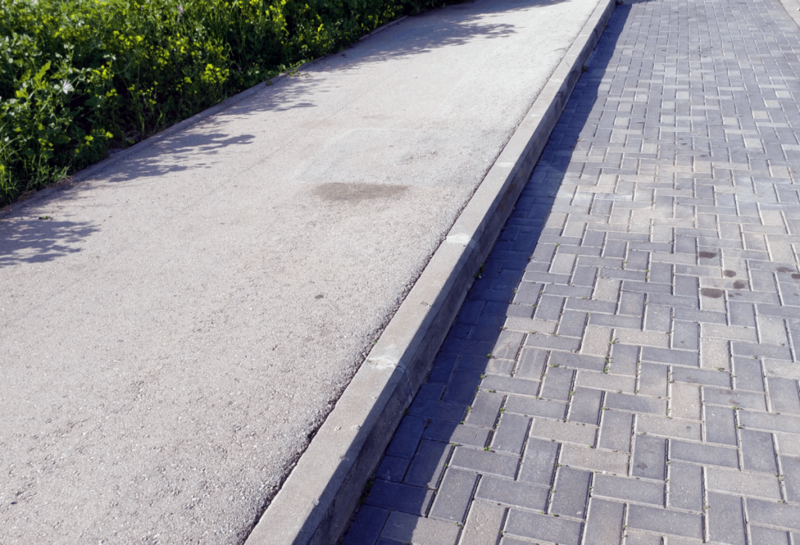 Unlike a single yellow line in the states, a solid line in Israel is like a wall. 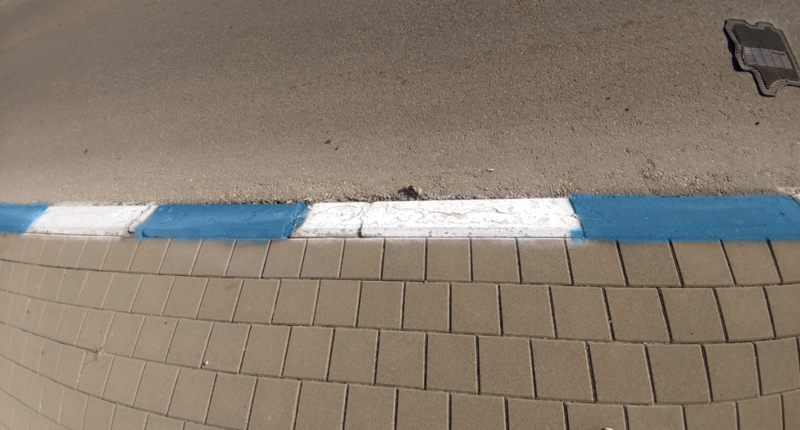 It’s the equivalent of a double yellow line in the US. If you see someone crossing that line, they’re breaking the law. In fact, I’m so used to that, it’s still difficult for me to cross a single yellow line when driving in the US. 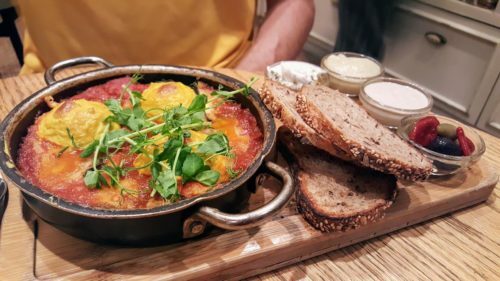 I hope this post will encourage you to explore Israel by car. All in all, I think it’s easier for an American driver to adjust to our driving laws and regulations, than for Israeli drivers to get used to the American system. Driving can really get you to many special places, where public transportation will be more difficult to use. Don’t give up on that. 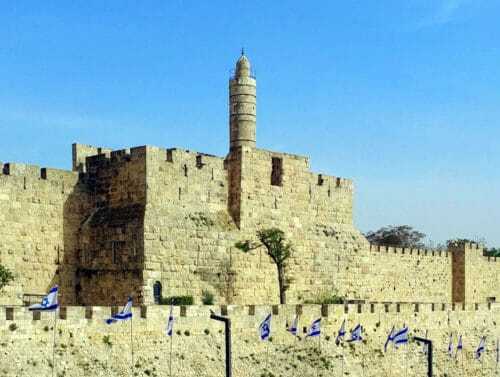 And if you’re still not sure about getting a car while in Israel and driving around, check out my other post – Should You Rent A Car When Visiting Israel? As always, comments and questions are very welcome! Let me know if you have any! Excellent advice and very helpful. Red means red. Green means go. And don’t take the honking personally. Grin. Thanks! 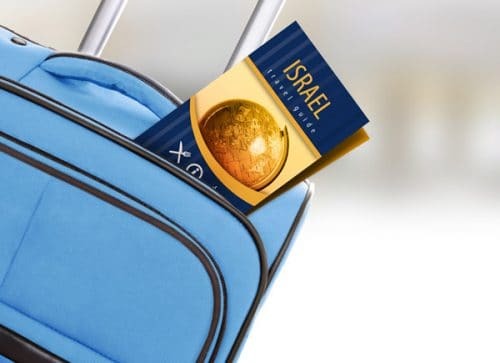 Previous PostIs It Safe to Travel to Israel in 2019? 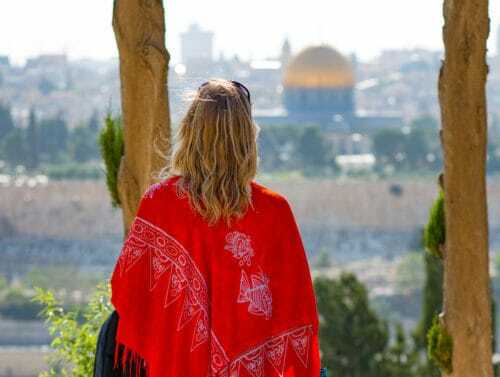 Is It Safe to Travel to Israel in 2019? 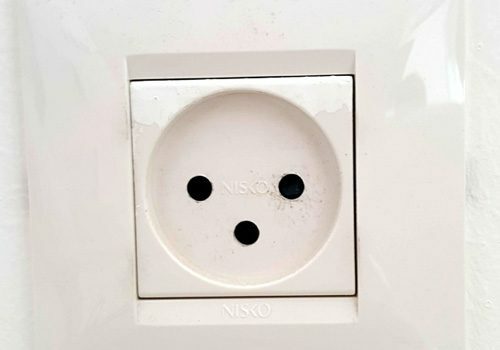 What Plug Adapter Do You Need for Israel? 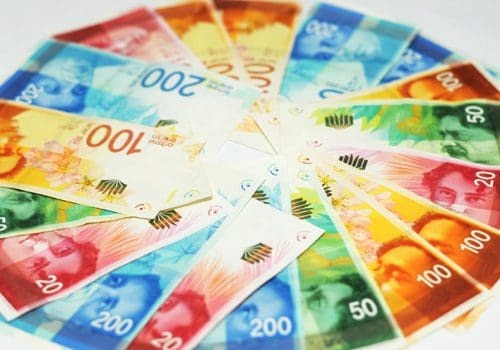 How Much Does a Trip to Israel Cost?